Have You Ever Considered A Combination Vacation from the Orlando port? Millions of people come to central Florida every year because of the theme parks, but did you know that there is an Orlando port that many come to for a Caribbean cruise. In addition to the endless Orlando attractions, there is also one of the main ports in the world for cruise ships (Port Canaveral – Cocoa Beach) less than 45 minutes away from those attractions. This means you can create sort of an Orlando port if you simply combine a Caribbean cruise with a visit to the Orlando attractions. Fact of the matter is that many people do both a 3-4 night stay at either Disney or Universal with a Caribbean cruise on a regular basis. You see if you stay at their hotels on location, both Disney and Universal provide transportation to and from the port, and you can do your stay either before or after your cruise. It will be like there is an actual Orlando Port, and this makes for an amazing combination vacation. Within very short reach of the Orlando attractions, you will find there are several major cruise lines providing a variety of options for some incredible Caribbean cruises. That is why there is the perception of an Orlando port. Port Canaveral, located beside north Cocoa, is really the place most people think of as the Orlando port. It is literally is a straight shot out of the attractions area via a major toll road we locals call the Beachline (SR 528). This road will literally drop you right on to the north side of Cocoa Beach, adjacent to the port. Making things even more convenient, Orlando international is located in between the two areas and there are shuttles available to either the cruises or the attractions. Being able to combine these two types of vacations to create your Orlando port couldn’t be any easier. In that spirit, here is some info to help you out, beginning with the cruise lines that make their home at this "Orlando port". Given their middle name, you can bet the folks with Royal Caribbean Cruise Lines have some of the best Caribbean cruises out there. Nobody knows the Caribbean better. 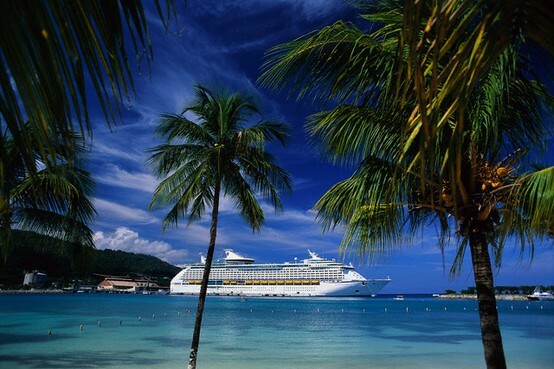 From various ports the Royal Caribbean cruise lines travel to nearly 50 different Caribbean islands, and have a variety of destinations and itineraries available. Along with the wonderfully warm weather, they allow you to experience a wide variety of cultures, food and activities. On board the ships are no different. There are deluxe accommodations, endless food choices, and activities for any imagination. These activities include things like rock climbing, ice-skating, flow-rider surfing, miniature golf, boxing, billiards, full-court basketball and some of the largest spas and fitness facilities at sea. With all this available, why not “Get Out There”? Carnival Cruise Lines was one of the first cruise lines to begin sailing out of Port Canaveral. It currently has two beautiful ships home-ported there, including the Carnival Dream, the newest and largest Carnival ship sailing to date. Carnival offers over 30 different ports of call throughout the Caribbean, and has maintained its’ reputation as being the “Fun Cruise”. Wherever the ship goes or whatever adventures are found, the unique and fulfilling excitement of a Carnival cruise is a definite must on every vacationer’s to-do list. If you are wanting to kick off your attraction filled vacation even before you hit the parks, or if you are done at the parks but are not quite ready to let go of the magic just yet, adding a Disney cruise is the perfect way to go. All Disney’s main characters can be found welcoming and entertaining children at different locations throughout the ship. Disney Cruise Lines have several swimming pools onboard, waterslides, a large outdoor movie theater, spa treatments, and an arcade. All the activities are Disney theme based and include things like musicals based on Aladdin, Toy Story and Cinderella and are performed by Disney’s most-loved characters. On a Disney cruise you definitely get to experience a slice of the Disney “Magic”. Several different cruise line use Port Canaveral as a destination as well but the 3 above are based there. If combining a cruise from any company, with a visit to central Florida is something that sounds great to you, I recommend that you contact the folks at Seaward Travels . They are based in Central Florida, and specialize in cruises, so they have a unique insight on these kinds of trips. Their customer service is top-notch, and will help you create your personal "Orlando port" combination vacation. Because of these things, I have aligned myself with them and highly recommend you use them for your vacation plans. In Orlando, there are more things to see and do then you can imagine. Just the restaurants alone will blow your mind. Even Disney and Universal weighed in on this, creating their own fantastic dining and entertainment areas – Downtown Disney & Universal City Walk. These venues include dining at places like the T-Rex Café and Jimmy Buffett’s Margaritaville. So if even food is like this, think of the magnitude of entertainment available. In order to not overwhelm anyone, I will just give you some quick insight on the hotels and cruises. Afterall, that is the heart of your cruise & theme park combo vacation. Keep in mind there are all sorts of hotel and theme park packages available to make for an amazing stay. Universal Orlando consists of 2 absolutely amazing theme parks. With heart pounding rides and awesome movie based attractions, this is a place that is fun for all ages. They are my personal favorite theme parks. 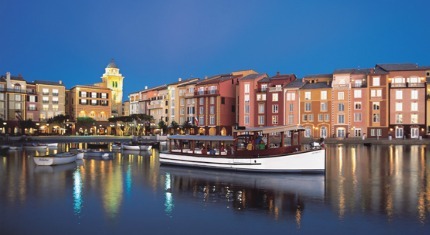 On location, there are 3 completely different resort hotels - The Royal Pacific, The Hard Rock, and The Portofino Bay (pictured above) resorts. Located in the heart of the excitement, each on-site hotel is magnificently themed and offers the utmost in comfort and convenience with exceptional amenities. Each on-site hotel offers world-class service and accommodations, recreational activities, incredible dining, and an ideal location within easy walking distance of both theme parks, and the Universal City Walk entertainment complex. There is also shuttle transportation available via a water taxi. Disney is ……..well it‘s Disney. Magnificent, massive, and inspiring to any imagination, there are 5 different theme parks such as The Magic Kingdom and Hollywood Studios, and 2 water parks as well. With entertainment galore, they also have accommodations to match. There are 19 different resorts & hotels available, most with varying lodging types of their own. Disney has accommodations designed to meet every budget ranging from the easy on the wallet All-Star resorts up to the ultra luxury of the Grand Floridian. Transportation is available from all locations and include everything from buses to monorails, depending on the resort. 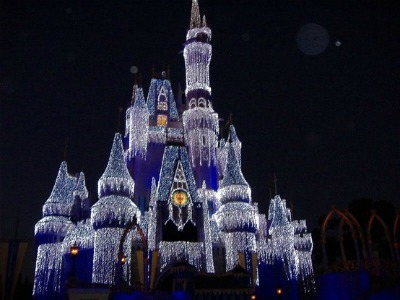 To put together an unforgettable combination vacation and your personal Orlando Port, see the folks at Seaward Travels .